This article is rather different to the other because it is clearly has a tourist feel , rather than being about weddings, but it is nevertheless clearly connected to your wedding and honeymoon here in the Marche. Should you decide to have a wedding in our Region and spend a part or all of your honeymoon here, you will be sure to find this guide very helpful. It provides details on the most important and significant places of scenic/historic/cultural / industrial interest etc…. but not all of them. There are a great number of places to see and admire, each village having its own unique history and features, and its own particular beauty. They should also be visited! But to keep things simple and view of the time available we have decided to divide the guide into two itineraries. To make things easy and in terms of similarity between locations and geographic position we have decided to describe these two itineraries crossing the region from North to South, and both will feature the scenic/historic/ cultural components, If they seem to be too monotonous or similar you may want to decide to cross the region transversally from right to left and vice versa, alternating mountains, hills and sea and then back again! This itinerary has been formulated to allow you to enjoy our the beauty of our hinterland that is rich in parks, scenery and natural beauty. We start from URBINO, the birthplace of Raffaello Sanzio, it is both an Italian township and the main town, together with Pesaro of the province of Pesaro and Urbino. It was one of the most important centre of the Italian Renaissance and fully preserves its architectural heritage. It has been a UNESCO heritage site since 1998. Strolling along its narrow, and steep streets it is possible to see all the buildings of renaissance Urbino, amongst which the Palazzo Ducale, one of the most interesting architectural and artistic examples of the entire Italian Renaissance and currently the sear of the National Gallery of the Marche; it hosts both museum, musical and artistic events and its is one of the most visited monuments of the region. Urbino is today the seat of one of the most ancient universities that was founded in 1506,in a town which boasts more university students than residents and which also features a famous Academy of Fine Arts, and is also renowned as the “Book capital”. So, it is worth visiting the whole town! 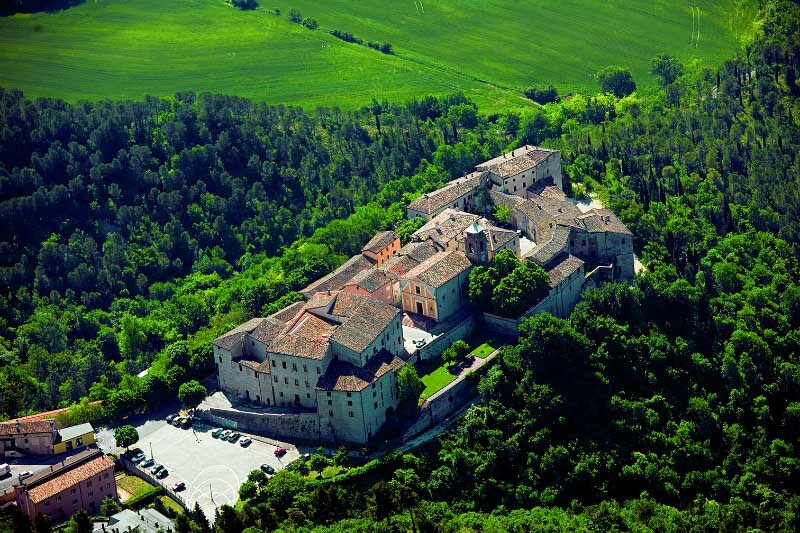 Here you will find all the tourist attractions you can visit in Urbino. We take the car again and go southwards, entering into a truly natural setting and 30 minutes later we reach LA GOLA DEL FURLO, a gorge that has formed between mount Pietralata and mount Paganuccio, thanks to the erosive force of the river. An authentic Natural Reserve has been set up with hectares of uncontaminated woodland, fields and peaks, a true paradise, crossed by the Candigliano river, that meanders through the imposing rock walls of the gorge, where the spectacular natural setting , combines with the lush vegetation which features truly unique examples of flora and fauna. With such amazing wildlife as the Royal eagle, the Peregrine falcon, the Eagle owl, the Muraiolo woodpecker, the mountain swallow, the Alpine swift, and the Chough. It is here possible to undertake an excursion through a simple and fairly flat route that is accessible to all (the elderly, children, mothers with pushchairs, those that are physically disabled etc.) and which is only a short distance (an hour and a half). We descend further south but the altitude increases and after travelling for about 40 km we come to MOUNT CATRIA, at an altitude of 1701 above sea level, which borders with Umbria. You have the opportunity to breathe some fresh mountain air. Enjoy the enchanting view. Relax far from the maddening crowd and let the beauty of the scenery do its magic. You can enjoy hours and whole days enjoying sport in the open air. Should you be here during the winter months you can take advantage of skiing area of about 9 km , while for the children there is a brand new Kinderland (the only one of its kind in central Italy) where they can play and have fun bob-sleighing; or why not enjoy a walk on snow rackets along the route, under the shadow of beech trees …. and don’t forget to pay a visit to the Catoline 1400 alpine refuge where you can sample the best local specialties’ in a warm and welcoming environment. While if you come during the summer months there are a host of excursion and other activities: trekking, horse riding, Nordic walking, mountain bike (with freeraid and downhill slopes) and the Kinderland Adventure Park, a truly unique theme park! Since 2013, together with Bologna and Turin, it belongs to the list of the creative Cities of UNESCO: Fabriano forms part of the category of "Craftsmanship, art and popular traditions " (craft, arts and popular traditions), this title being above thanks to its hand made paper production. As well as the cathedral, the Palazzo della Podesta, and the civic art gallery you will surely enjoy a visit to the highly original Paper and watermark museum! Just 15 km from Fabriano, we return into the midst of nature and adventure again as we finally arrive at the PARK OF GOLA ROSSA AND FRASASSI. 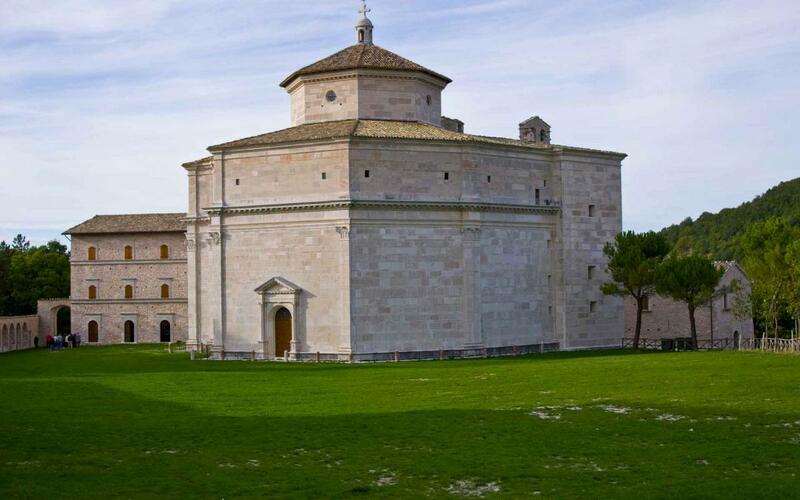 It’ is one of the most beautiful protected areas of the Marche and extends for approximately 10 thousand hectares. It is a natural oasis which also provides the opportunity for enjoying numerous sports in the open area: from hiking with 35 signposted tracks, mountain-biking, horse-riding, speleology, canoeing and rafting on the river, to climbing. One of the most scenic disciplines being highline which consists in a kind of tight-rope walking at tens of metres from the ground against the background of the beautiful gorge. If you love climbing and related activities, there is the Frassasi climbing festival, held here every year. Returning to the more historic-cultural site of the location inside the Park, we can find various places worth visiting. 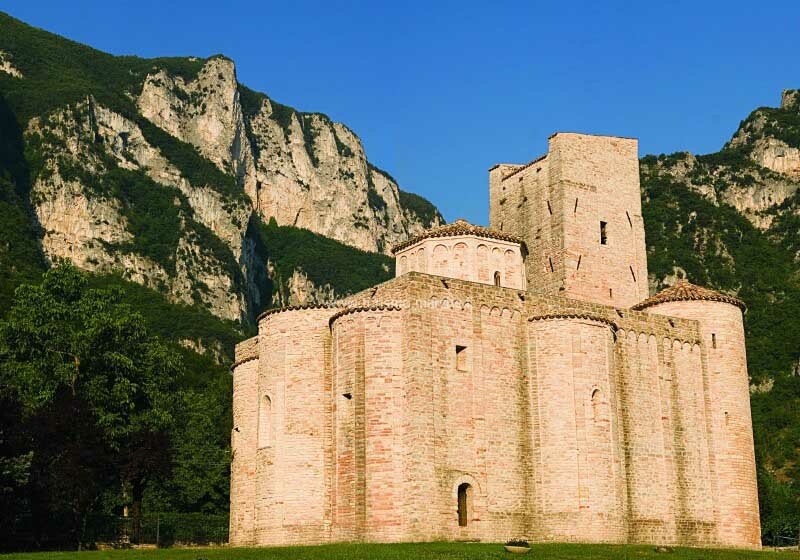 Starting with the ABBEY OF SAN VITTORE DELLE CHIUSE , built amongst an amphitheatre of mountains and which is an excellent example of Romanesque architecture. Then there is the CASTLE OF GENGA, a township, hamlet and at the same time a Medieval castle immersed in a natural setting, which can be entered through the only arched door, before strolling through the numerous streets of the hamlet. Finally, there is the TEMPIETTO DI VALADIER and the HERMITAGE OF SANTA MARIA INFRA SAXA: both religious buildings being set inside a grotto which looks out over the breathtaking views of the gorge; a true jewel hidden within the heart of the mountain. But probably the most magnificent Landmark to be found inside the Park is underground complex of the GROTTOS OF FRASASSI, the largest in Europe and one of the most beautiful attractions in Italy, which will provide an unprecedented natural spectacle: consisting of a fantastic underground labyrinth made up of stalactites, stalagmites, and crystallized lakes. You can enjoy tourist routes that take about an hour or speleological routes of various degrees of difficulty. We descend southwards and we take a break to do a bit of retail therapy in the Factory Store of Giorgio Armani in Matelica, where it is possible to find everything that you want, from super chic, to casual ranges designed by the great Italian designer: Emporio Armani, Giorgio, Armani Collezioni, Borgonuovo, Armani Jeans; all at bargain prices! From Matelica, we recommend that you take a 10-minute deviation to admire the imposing and delightful Piazza del Popolo in SAN SEVERINO MARCHE, which is particularly appealing for its spindle shape, and from the inside of which it is possible to perceive a kind of ellipsis. We continue southwards and we pass Castelraimondo and CAMERINO, a ducal town which each year re-enacts the glorious of the past with the Re-evocation of the Sword Race and the Palio and the patron saint San Venanzio celebration in the month of May. Should you happen to be in the area in that period, you can participate in the celebrations and visit the town and its ancient beauties such as the Rocca of the Borgia. We resume our travels and after a further 30 minutes drive you come to LAGO DI FIASTRA! This ia an artificial lake built in 1955, and the deepest lake, with a maximum depth of 87 metres at the height of the dam. The surface area of which is 2 square km. The lake is to be found inside the National Park of Monti Sibillini (which we will mention later!) and it is fed by the waters of the river Fiastrone. The lake is famed for a serious of important events such as the "Triathlon of Monti Sibillini" or its numerous fishing competitions. Its waters being particularly limpid and unpolluted. One side of which is bordered by a cycle path which provides easy access to the lake. The area is well equipped with bars, kiosks and restaurants or you may want to simply relax next to the lake or go for a boat trip, do competitive fishing, carp fishing, archery, or fly a two-seater para-glider, go the Adventure Park, etc.. Here below is some information on the various activities. Near the lake proceeding along a dirt road that starts from the river dam, it is possible to reach the Red Blades, so described in Sibillini.net (that you can consult should you be planning to visit the Sibillini) : “The RED BLADES have the unparalleled beauty gorges that the impetuosity of the water, wind and snow, dug over the centuries leaving behind towers of red rock spires and gravel deposits in the form of tall mushroom tens of meters.”. The itinerary is entirely on foot, for a total of 7 km (approximately 3 hours round trip). All this leads the last stage of this first itinerary …which is the SIBILLINI NATIONAL PARK...in which you are actually in already!Il The Park is a protected area that safeguards the massif of Monti Sibillini and extends for approximately 71,437 hectares over a prelevantly rocky area. The highest mountain, as well as the highest peak in the Marche, is Mount Vettore at a height of 2476 metres. For now, we shall outline a short itinerary, and resuming our travels from where we left off, from Fiastra, we drive for about 15 km and we then descend for a short stop at the Sanctuary of Macereto , a magnificent example of Renaissance architecture built in 1529 dove, in which it is also possible to marry, and to request that your wedding reception be held inside. We resume our journey and a short distance away we find USSITA, one of the few places in central Italy to have an ice-skating rink where it is possible to skate the whole year. At a distance of 7 km from there we find Frontignano, a famous ski resort and excellent starting point for excursions on the Mount Sibillini loop. We resume our journey towards VISSO, seat of the body that manages the Park. Visso is a mountain village, which is also classified amongst the best in Italy boasting a medieval and Renaissance atmosphere. On passing through the imposing access door we find ourselves in front of a host of architectural delights which culminate in the central square, with an arcade on one side and a long row of houses with coloured fronts. The central square is fronted by four imposing 16th century buildings as well as the Collegiate of Santa Maria and the Church of Sant’Agostino. Amongst the things to see in Visso there is the Palazzo dei Priori, the palazzo dei Governatori and the Palazzo del Divino Amore. Another thing that we strongly recommend is to take a walk along the section that extends along the Nera river (one of the primary affluents of the Tevere) and then proceed on to the Ussita torrent. At the precise point of intersection you will find the Spanish bridge made of stone and on crossing the biridge you will have the Visso lake, minutes away known as the “lake of reflection” as the view of the Sibillini mountains is reflected in the lake. We have truly reached the end of this itinerary, despite the fact that there would be a lot of other things to see! In any event if your are in the National Sibillini Park, you cannot miss a trip to LAKE PILATO , only a 35 minute drive from Visso. Lake Pilato is a stretch of water located on Mount Vettore at a height of 1941 metres above sea level. It is known and often called the "lake with glasses " due to the shape of its complementary basins , which are intercommunicating during the periods of greatest water presence. In the intermediate period, these two stretches of water resemble two bears placed in different positions. It is the only natural lake of the Marche (excluding the costal lakes) and one of the very few glacial lakes of Alpine type on the Apennines. According to popular tradition the lake was considered a magical and mysterious place and its is worth visiting the scenic and fascinating setting in which it is found. We have truly come to the end of this first itinerary, and as we have already said, should it appear too “one track” you can combine to two itineraries and personalize your Marche tour. 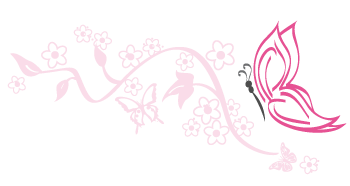 So do not miss the second episode of The Marche: What to do and what to see. This article was written before the earthquake that hit our region in recent days. Right now several places described in it are not reachable, nevertheless we have deliberately left them in the article, aware of the fact that they are part of our natural, artistic and cultural heritage. It is also a whish that everything goes back to what it was before and the sun will soon shine again in those places which are part of our land! We therefore suggest to visit only part of this itinerary and focus more on the one described in the second episode of "Le Marche: what to do and what to see" which will be released soon.